The booming beauty industry has paved way for the evolution of cosmetic dermatology. We have cheerful tidings for all those with an interest in finding out ways to improve one’s appearance by reversing the signs of aging by way of cosmetic dermatological procedures, as the finest professional care for you is right here at al Nahil Int’l Clinic. removal, Laser Tattoo removal, Microdermabrasion, Hair loss treatment, PRP(Platelet Rich Plasma), Wart and mole removal, Skin biopsy, Acne and acne scar management, Skin rejuvenation, Cryotherapy. 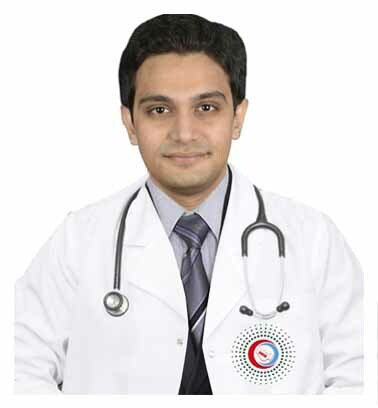 While emphasizing on educating patients on preventive care techniques with respect and compassion and he also makes sure to communicate important health information effectively by ensuring compliance with current medical laws and ethics. He is well experienced in working with various ages, ethnicities and cultures. The usual uncertainties and fears towards dermatological procedures will be felt simple and less ambiguous with Dr. Shumez’ s warm and positive attitude . Invest in your skin, it represents You.